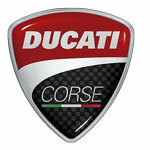 Once again UNIBAT gain the podium at the MotoGP in Japan, this time thanks to Andrea Dovizioso. 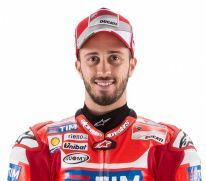 Andrea Dovizioso put in a fine performance today in the Japanese Grand Prix at Motegi, finishing runner-up in the fifteenth round of the 2016 world championship. The Ducati Team rider, who started from the second row, powered away well at the stat but lost a few positions at the first corner and crossed the line at the end of lap 1 in fifth place. Andrea then passed Aleix Espargarò on lap 6 and began to chip away at Lorenzo, who crashed on lap 20. At that point Dovizioso was able to control the recovery by Viñales and he finished his race with a well-deserved second place. Hector Barbera, who was making his debut on the Demosedici GP of the Ducati Team, had not such a good race. The rider from Valencia, who started from row 3, lost several positions at the start and then began his recovery by passing Petrucci and catching Pol Espargarò. In an attempt to pass his fellow Spanish rider, Hector made a mistake and crashed, managing to restart however despite a damaged bike, and he crossed the finish-line in seventeenth place. 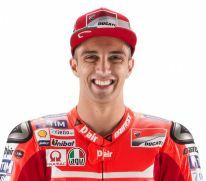 Barbera will again replace the still convalescent Andrea Iannone in the Australian Grand Prix next week at Phillip Island. 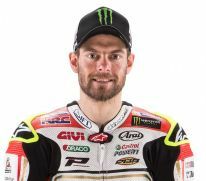 LCR Honda rider Cal Crutchlow completed a fine weekend’s work by coming home in fifth place at Sunday’s Grand Prix of Japan at the Twin Ring in Motegi. On the day that fellow Honda rider Marc Marquez clinched the world championship, Crutchlow overcame a slight error in the middle of the race to produce another solid showing which reinforces his position as the Best Independent Team rider of the standing (7th overall with 116 points). Having started from fifth place on the grid, the Briton was always looking to try and come on strong in the second half of the race. His plans were disrupted when he went off track near the halfway point, but he managed to keep his bike upright and return to the race. The incident ruined his hopes of challenging for a podium spot but the Brit was quite satisfied with the final result. Now Cal and his squad will move to Australia for the sixteenth round of the calendar at the spectacular Phillip Island circuit. “Today was a good finishing position for me and the team, but I made a mistake in the middle of the race. I ran the hard front tyre, which I believe was the correct choice, but it was really difficult to go fast at the start of the race. So I waited and looked to do a good job towards the end, which was always going to be the plan. “I believe I could have done that, but I ran off the track which complicated things for me. I lost eight or nine seconds on that lap. It was my own fault, but I managed to stay on the bike as I went through the gravel, which was the main thing. We still managed to finish in a strong position, but evidently we are a bit disappointed as we could have battled for the podium today.